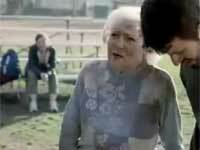 Funny Snickers commercial with Betty White playing football that aired during the 2010 Super Bowl. Submitted by monkey on Tue, 02/09/2010 - 4:40pm. 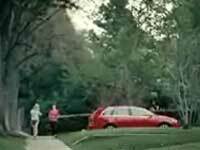 Funny Volkswagen commercial that aired during the 2010 Super Bowl. Submitted by monkey on Tue, 02/09/2010 - 4:38pm. Funny Denny's commercial that aired during the 2010 Super Bowl advertising their free Grand Slam breakfast today from 6 am to 2 pm. Submitted by monkey on Tue, 02/09/2010 - 3:57am. 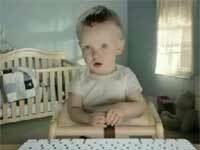 Funny E-Trade commercial during the 2010 Super Bowl. Baby calls his girlfriend. Submitted by monkey on Tue, 02/09/2010 - 3:52am. Lady uses Cheetos to signal for a pigeon attack. Funny 2009 Super Bowl Commercial. Submitted by monkey on Mon, 02/02/2009 - 11:26pm. The insect kingdom work together for the ultimate heist of a Coke. Cool 2009 Super Bowl Commercial. Submitted by monkey on Mon, 02/02/2009 - 11:24pm. They literally laugh it right off while watching NBC. 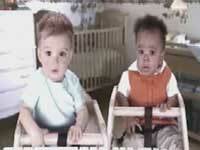 Funny 2009 Super Bowl Commercial. Submitted by monkey on Mon, 02/02/2009 - 11:21pm. One of the babies gets excited and just wants to flex the golden pipes. Funny 2009 Super Bowl Commercial. Submitted by monkey on Mon, 02/02/2009 - 11:19pm. It is crazy what the power of the crunch can do. Funny 2009 Super Bowl Commercial. Submitted by monkey on Mon, 02/02/2009 - 11:14pm. He is only good because he has Pepsi Max. Funny 2009 Super Bowl Commercial. Submitted by monkey on Mon, 02/02/2009 - 11:11pm.